It's Monday and again I am joining in the meme over at Mentor Texts. 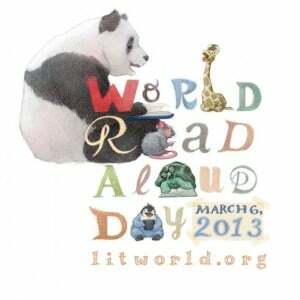 Hop on over and join in over at the Mentor Text Blog. Just click on the picture below. I read Guts by Gary Paulsen. This is the actual life experiences of Gary Paulsen that provided him with the material that made Hatchet and the Brian books so real and accurate. I am not an outdoor person in the sense of going into the wild but I respect people who have ventured in. I know that I certainly have not in any way changed my mind about venturing in after reading the book. And I certainly never want to meet a moose! Students who have read Hatchet and any of the other Brian books will like this book. I also read this graphic novel, an accident buy. 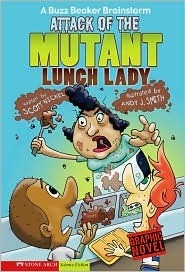 Got it mixed up with the real Lunch Lady so still have to seek her out! I think younger students would enjoy it, says on the back Guided Level: K.
Illustrations are well done, and while it is for younger students I think there will be a few in my class who will buy into this. Don't read just before a meal, could put you off eating! This coming week I plan to read The One and Only Ivan by Katherine Applegate. Perhaps a few more as well, will have to see how the week goes. As I settle into my sabbatical ten weeks - almost half way through it, I am beginning to explore digital citizenship. It has been a natural progression from where I began with my digital storytelling and movie making. We have been thrust into digital citizenship and sometimes it is a matter of feeling our way. I am a "catcher upper", the whole digital age does not come naturally to me. At primary school I only knew what a TV was from the pictures in American and British magazines. My first twenty years of teaching did not involve anything digital! I was a teacher in a classroom with just the ideas of the teachers on the staff and occasionally teachers at professional development. There was some connection and quite a lot of disconnection. I am a reader, so I gleaned some ideas from books, but even they were very limited. In the early 90's I returned from a year's study leave to find a small Apple classic in my room. For the first week I was so scared of it. Probably didn't sleep at the very thought of using it. However gradually through the 90's my knowledge of using Apple computers grew as I interacted with the teacher next door and attended some professional development. However it was still very narrow. We had a school intranet that connected our computers, but more often than not it didn't work and as for logging on to an email account, it took an hours one on one PD and I was still none the wiser, as the internet rarely worked. By the mid nineties I bought my own first personal computer, and by then there was some limited access to the web and email. $3000 for a PC with about 2gb of space! Gradually I began to know the delights of being able to access places like Amazon and Audible. Now I could buy books that once had not been available to me in New Zealand. The last five years has seen my activity grow exponentially. I began blogging with Edublogs with my class - a steep learning curve that I persevered with until I could use it in my classroom. I began to join the class blogging challenge and started to open the students up to the global world in just small ways. The greater advantage for me was that I was beginning to see what other teachers were doing around New Zealand, Australia and the USA mainly. Exciting and at times just down right overwhelming. Now I no longer need depend on the PD offered in my limited area, I can seek it out through Blogging, Twitter, Facebook,Wikis, Webinars and You Tube to name some places. And of course there are more books - I love my Kindle! I am so grateful to the many gifted, knowledgeable teachers who share what they are doing. I am so delighted that I can listen to leaders about using technology in the classroom from all over the world. Wow! I am an ordinary teacher, teaching in an ordinary classroom - doing my best to keep up in some small way with the exciting events taking place in education today. 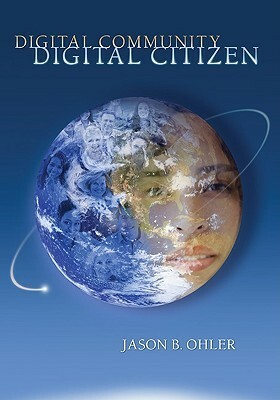 Realising that to walk with my students in their digital footprinting, I need to give some thought to digital citizenship I am off to read Digital Community, Digital Citizenship by Jason Ohler. I am reading it on my Kindle. A plus because there is no expensive postage to pay on it. A minus because I can't pass it on to others when I have finished it. How did I hear about Jason Ohler, well I clicked on some link that led to another link and I spent an hour yesterday listening to an address he gave in Portland in 2011! The digital world is so big and here and there I dip my teaspoon into it! Just before I end I want to share this video made by Jen and Teach Mentor Texts. Here is a little example of the world I can enter into with other book lovers! My favourite part? The very end with Colby Sharp! 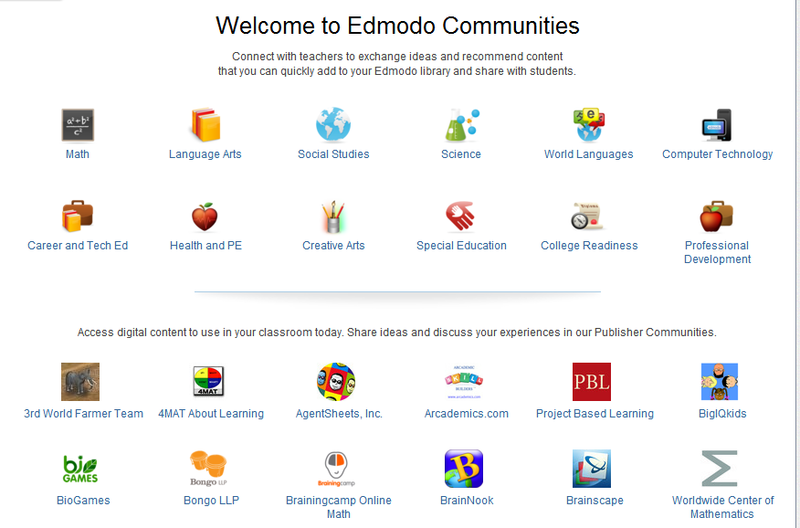 My class and I joined Edmodo last year so that we could take part in a global project. We have not used it for anything more, yet I have heard teachers on Twitter and in the blogosphere highly commend all that it offers. As part of my sabbatical term I wanted to identify tools that can have a positive impact on student learning and that the students may use in the context of a social network. After spending time listening to some webinars and exploring around on Edmodo I have found that it offers a safe secure environment that has to some extent a Facebook like feel to it. It not only is an environment for students but for teachers as well. It has many great features. A teacher signs up and forms a group which has a code generated for it. Students can then sign up and put in the code given them by the teacher, they then become a member of the group. A teacher may have a number of groups and sub groups for students - so that there is large scope for differentiation. Students can then make posts that fall into the timeline and other students can add to the conversation by replying, or they can post their own thoughts on something. An important point is that students cannot direct message each other, everything that is written is in the public timeline. Teachers do have the choice of moderating this chat if they so wished before it goes public but I think this would hinder the flow. One of the main features about Edmodo is that it is entirely private to the group -' a walled garden' as one of the webinar tutors described it. It is a place to learn the skills of online citizenship. If a student makes a judgement of error here, it is an indication of where more teaching and learning needs to take place. It is of course important that we continue to teach about being a good and safe digital citizen, and it needs to be ongoing. Edmodo is one place where students can practice what that looks like. Teachers and students can direct message each other however and so can teachers to each other. When we were taking part in the global collaboration project, the teacher who organised the joint group, was able to make the other teachers in the group jointly responsible for the group. Parents can also join, a teacher gives them a code that then enables them to be able to read what their own child produces, but they are unable to see anything else. I expect some parents would be interested, however I am not sure how many would do this. However the opportunity is there if they want. 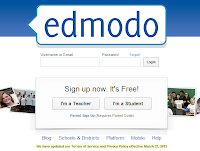 How will I use Edmodo with my students in the future? Homework - setting an assignment and due date is very easy here. In fact it could be a place to set class assignments set as well. It has a very nice calendar integrated into it so that each student can see what is happening when. Set up more groups - so that reading, maths groups can talk to one another and where I can set assignments for them. For example I can place videos and games for them only to view. Set up quizzes and polls which are very easy to integrate in this environment. 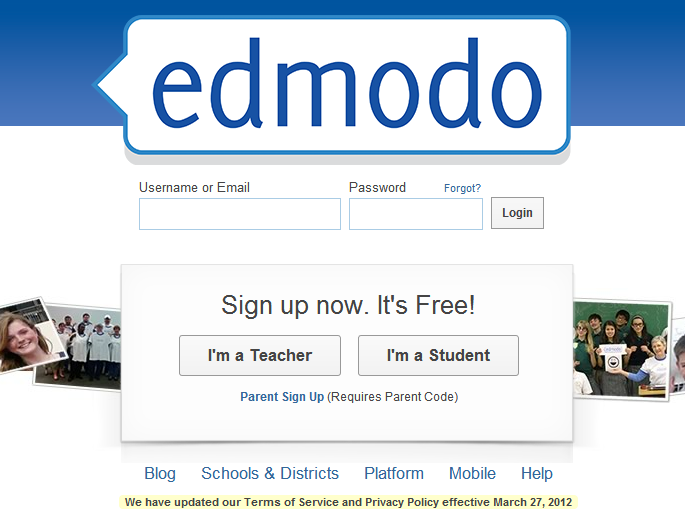 I will ask students to turn in certain assignments to me through Edmodo. There is the ability to annotate and respond to their work. There is also a grading system which I won't use, I presume it can be ignored! Google docs can also be worked with from within Edmodo, I haven't explored how this works yet but I will definitely use it. I have however synced my docs with Edmodo. Use it for back channelling for the students whenever it is needed. Encourage them to use it to discuss with each other books they are reading, give or offer help that is needed with a problem they don't understand etc. A place to communicate with each other. We have done that and the students enjoy it and while they do it they are writing! For some form of collaboration in the future with other classes and schools. How will I use it for myself? Join communities of teachers who have same teaching interests and who share ideas and questions. Explore publisher communities to see what they have to offer. Interact with other teachers there so as to widen my PLN. I also like the fact that schools can form their own groups. A group of teachers from the same school form a group and share their ideas, the same with a school district. I am sure there are a number of environments where something similar may take place, however I believe the simplicity of this environemt recommends itself. Webinars by Edmodo Many of these are archived so you may watch them in your own time. A Teacher's Guide to Edmodo By Henrietta Miller. 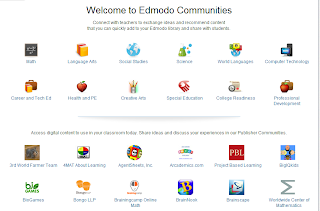 Edmodo is a place where students can be connected and actively involved, where they can use their thinking and language skills, relate to others, participate and contribute and above all learn to manage themselves within a social networking site. 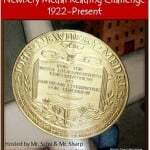 This last week I read the 1999 Newbery award winning book, Holes by Louis Sachar. I know most if not all of you will have read this book, however for me it was the first time. It was to me a book that could be described as a tall tale, a legend, a mystery and an adventure. The stories of differing generations were skilfully interwoven. It showed how the choices of one generation impacted on another. I b felt sorry for those boys who were sent to dig holes and at the same time admired there tenacity and perseverance. I had a number of favourite characters, Stanley and Zero and also Sam the onion grower. There were a lot of coincidences but then it was a tall tale. Tall tale my opinion only!) I highly recommend this book if by some chance you haven't read it. 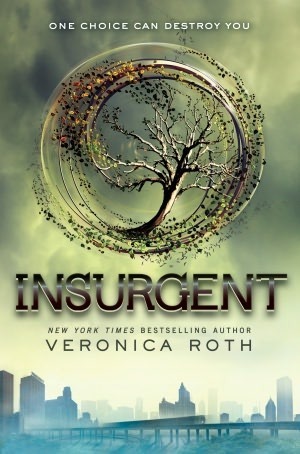 I also finished listening to Insurgent, the second in Virginia Roth's Divergent trilogy. I again liked this as much as the first one. There were surprises, and upsets along the way, not saying more because I know everyone won't have read this yet. Also I need to confess I am going to need to listen to this again, I am planning to listen to both Divergent and Insurgent before the last book comes out next year, so that my brain is totally sharp on all characters and turns of events. The narrator (Emma Galvin) who reads this book captures it really well for me, her voice is the voice of Tris as far as I am concerned. I 'read' Divergent ever before I read the Hunger Games trilogy, I then felt if I could cope with Divergent I could cope with The Hunger Games. It's not a natural genre for me to go to, however both trilogies have been well worth the read. It has been a good experience to read outside my comfort zone. For the coming week I am keeping it simple, I am going to read my first Lunch Lady book and I am also going to read Guts, by Gary Paulsen - the True Stories behind Hatchet and the Brian books. Meme What are you Reading? Again I am joining in the meme over at Mentor Texts. This last week I read The Red Pyramid, the first of the Kane Chronicles. It was good and I enjoyed the humour. This book had a lot of action and adventure as well as Egyptian mythology. It is not my favourite genre, however I enjoyed it enough to read on into the series. So sometime this year I will read the next one. I also have been listening to Insurgent - and am about half way through. This book too is full of action! What did I just say about lots of action, can't be listening to myself. I am really enjoying this audio version. another medal book off my list as read. I am also reading all over the web as I gather information on digital storytelling and the making of videos aspect of that. This morning I was just reading Matthew Needleman say that media literacy is important, and by making a movie it helps us to analyse and think critically about visual media. So I still have a lot of reading to do just on his blog! Monday Again! What are you Reading? This last week I read: Stargirl by Jerry Spinelli. This book certainly had points of difference and explored the idea of being yourself versus fitting in with the crowd. When you decide to fit into the crowd there is a cost, and when you decide not to fit into the crowd there is a cost also. I believe this book would make my students think and explore their own lives - as indeed it made me do. Sign of a good book! I liked it enough to want to search out the sequel to this book. 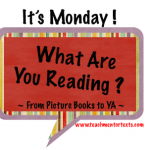 What am I reading this week? The Red Pyramid by Rick Riordan, the first book in the Kane Chronicles. I have just started to listen to Insurgent by Virginia Roth. This will take me a few weeks to listen through as I only listen while out walking mainly. Roth doesn't do any recapping of the previous book, Divergent, and I found myself a little hazy on the characters, so I read a blog post she had written helping her readers refresh their minds on the story - so now I think I am good to go! Video Making - Advice Needed. These times I am learning about digital storytelling. I have read the book Digital Storytelling by Adam Brice and Richard Lambert this last week. I have now decided to narrow down my focus in digital storytelling to the actual making of videos with students. I did have visions of doing a whole lot more, however I realise it is just not possible. I need to really focus in on what I want to do. I have some excellent material from the book on how to introduce film making to the students - I now realise I am not a movie goer and am really illiterate in this area. However I am going to use the suggestions in the book- which means watching some movies that they suggest and learn a little more. I also came across Mrs Pack on Twitter #6thchat, she works with her class and a general media studies class. I enjoyed watching what she has achieved with her students. She also has a lesson guide to download. My question has now turned to what gear to use. I do have mobile devices - iPad, iPod touch, digital camera and a Kodak play sport camera. These are useful and could be used and I do use them. However I want to also increase our range of tools to shoot video so that we have a more polished end result. A video camera with jack inputs for mic. Something like a Panasonic SD 90. I want to get some editing software that goes beyond windows movie maker and iMovie on the mobile devices. That means that whatever video camera I might get, needs to have a recording format compatible with the software. While I am an Apple person at heart, we have PC computers at school. That means I can't get the better version of iMovie. My Principal did offer that next time my laptop is up for renewal that we get an Apple one for me. I sort of turned that down, as everything else in the school is PC, however maybe I could take that option - if still an option! I will also explore an easy to use software tool for editing movies on Window's computers, there is probably an upgraded Windows movie maker or the such like. To all teachers who have worked with video making in the classroom I would really be interested in what you are using - especially if you are a PC school! However I would also welcome those who use Apple to give me their thoughts.